Pete Rizzo is the editor of CoinDesk, where he oversees editorial production on CoinDesk.com, as well as the startup’s research arm, CoinDesk Research. 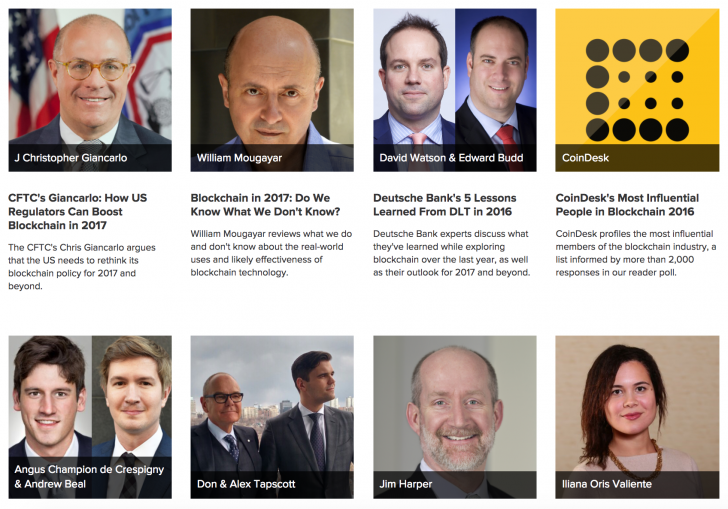 In this final CoinDesk 2016 in Review feature, Rizzo teams with guest editor and author William Mougayar to recap the series, reviewing the best of what its 50 articles and 60 contributors had to offer over its month-long run. After publishing more than 1,500 news stories and features, how do you sum up an entire year? That was the tall task facing CoinDesk at the end of December, and our second annual Year in Review was our best effort to do just that. Boasting 50 full-length opinion articles from 60 industry contributors, the goal of the month-long conversation was to showcase the sheer depth and breadth of industry thinking. 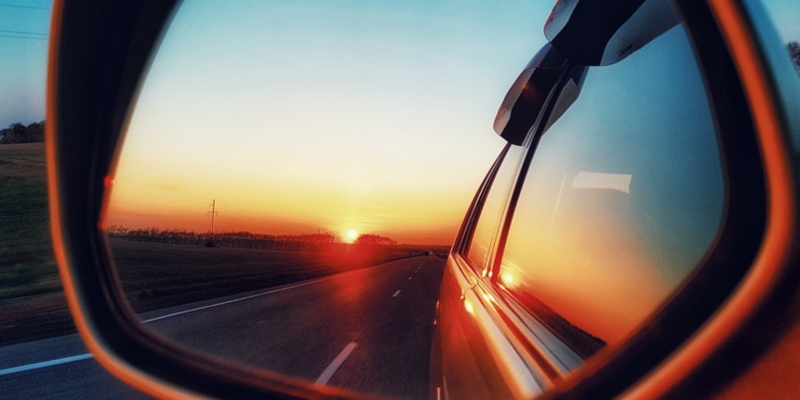 From security to regulation to marketing and history, we strived to offer something for everybody. Armed with so many contributors, we admit we may have gone a bit overboard with the possibilities. From listicles and best-ofs penned by CoinDesk staffers to sprawling think pieces, our year-in-review wasn’t exactly light reading. Kicking off with author and Guest Editor William Mougayar’s 20-point deep dive into blockchain’s burning questions, and ending with ex-Barclays blockchain guru Simon Taylor’s assessment of 2017, there was plenty to see (and perhaps overlook). At least, we were reminded to retain a sense of self-awareness and realism about the blockchain’s possibilities. We’d argue each entry in the collection is worth its words (and encourage you to check out the series again in full). But as we officially mark the end of our run, we’d also like to invite you to look back at some of the highlights that still have us thinking days and weeks after their first reading. Love it or hate it, it was a capital-O opinion. Given extra weight by his status as the former head of Intesa Sanpaolo’s blockchain program, Ametrano minced no words about how he believes institutions have piggybacked off bitcoin’s creation of the world’s first ‘blockchain’ to tout technologies that are little more that databases. While the verdict is still out on his assessment, Ametrano’s piece was effusive in its praise for bitcoin’s development team, level-headed about its challenges ahead, and most importantly, bold in its predictions. It wasn’t exactly for the 101 crowd. Though one of the shorter entries in the series, Billingham’s overview of how MarkIt has shifted its thinking on smart contracts was revealing and insightful. In an industry where so much thinking occurs behind closed doors, Billingham’s willingness to state his findings left a commendable trail of breadcrumbs. Though that might be the wrong wording – readers will find food for thought here. That may be most true of this submission from Tierion CEO Wayne Vaughan, a simple three-part examination of how major blockchain networks pay to keep the lights on. Yet, while some criticized it as brief or elementary, the piece reveals itself to be meditation on immutability that’s surprisingly strong given all the talk of mega-consortiums and financial collaborations. As its image alludes, getting a table for 20 is the easy part. The hard part is splitting the check. With seminal pieces penned on privacy and indusry use cases, Multichain’s Gideon Greenspan always seems to be a bit ahead of the thought leadership curve. So, it came as a surprise when his submission focused solely on why he believes the number of true enterprise blockchain use cases is set to shrink in 2017. Overall, his submission was decidedly downtempo. We wondered, was it a sign of technology or entrepreneur fatigue? Either way, when Greenspan puts his weight behind a trend, bearishly, we would argue it bears consideration. From the original pitch, we had high hopes for this submission – and it didn’t disappoint. Though not one of the more visible consultancies in the space, EY tends to tread softly and carry a big stick, and the piece was a reminder of how much thought work it has ongoing behind the scenes – even as it eschews PoCs and PR. At a time when many institutions still dismiss bitcoin and other open blockchains, EY’s salvo was a rare entry that championed collaboration and open-mindedness. Boasting 10 predictions, Tripathi approached his piece more like an all-you-can-eat buffet. Still, there was something refreshing about seeing a director of FinTech at PwC speak so candidly about so many subjects. From central bank blockchains to ethereum’s inner-workings, Tripathi showcased just how closely enterprises are paying attention to the blockchain industry and its many experiments (not to mention the nuance and humor with which they can speak about them). Varied in tone and expansive in presentation, Tripathi’s piece is one that we hope helps encourage more free dialogue in the years ahead. Not all updates are based on progress, though. In his entry, Llanos reminded us that when it came to US regulation in 2016, it was largely a year of inaction. But, it also noted how regulation is a multi-faceted undertaking, further warning about the potentially disastrous effects of flawed regulatory changes. Regardless, the Trump administration will certainly have a direct or indirect effect on blockchain regulation. We should prepare to expect it. It wasn’t a pour-your-heart-out kind of read, but the catchy title summed it up. In short, there may have been no piece that summed up more clearly how the industry (publicly at least) is looking to portray the year. Is it really ‘do or die’? Or is this just good marketing? Time will tell, but like personal resolutions, every end of year, it’s easy to say next year will matter more. Interested in keeping the conversation going? CoinDesk is seeking to launch similar short-run discussions this year. Email news@coindesk.com for more details.